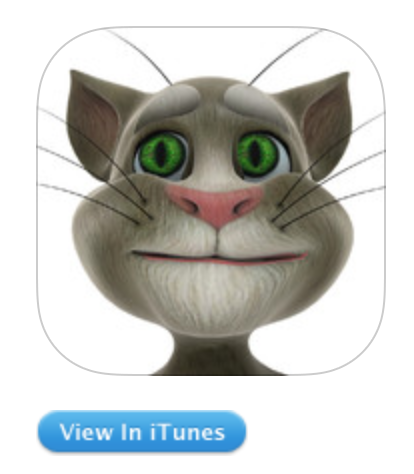 I created this app, and this was a paid app for a couple of weeks on iTunes. 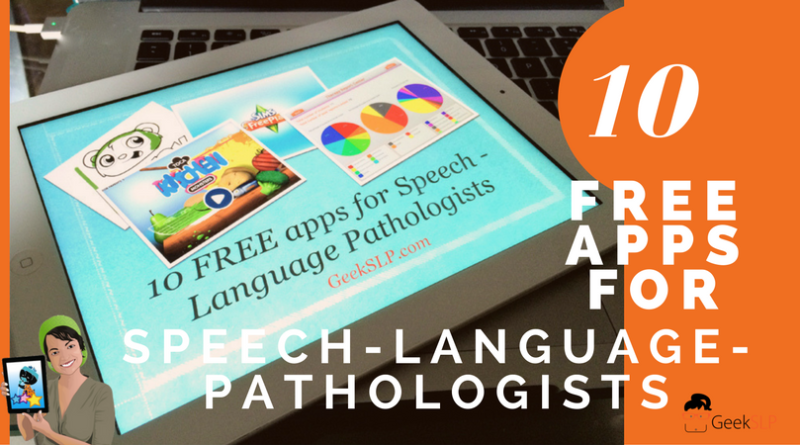 This is a one of kind app for speech-language pathologists: It allows clinicians to manage their caseload on their iPad, track data, goals, and best of all: manage the data from other apps while generating reports and graphs about their students’ app use. I was asked at a MacWorld convention a few years back, “Which app is your favorite app that you did not develop?” My answer was Pocket Pond. 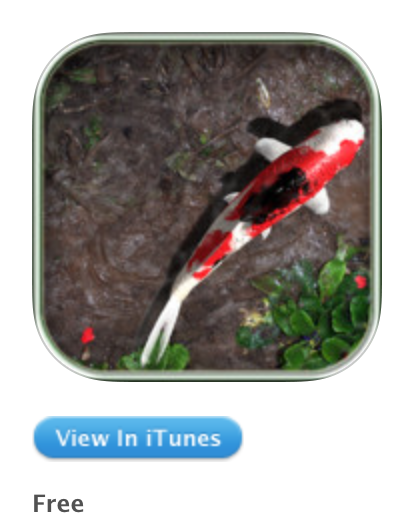 This application, despite its basic concept of a simple pond with fish and other pond like visuals, has made an impact on my initial assessments with little children with suspect of autism. 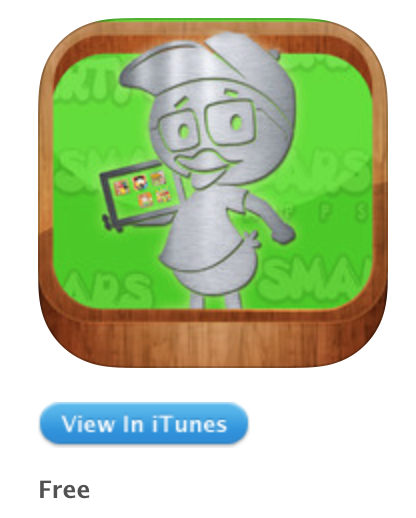 I have used this app primarily as a app to help motivate and build rapport with the little ones. Most of the time, this app has allowed me to observe vocalizations and simple naming on many children. The graphics are stunning and very realistic! The cute cat was the first one of its series of many other animals like ” Talking Gina”. He was actually the center of my attention back on GeekSLP Tv Episode #4 . Children get to interact with the cat by touching the screen in various ways and places and the cat also repeats everything you say. There is some questionable violent behaviors, which can be turned off on the settings of the iPad. 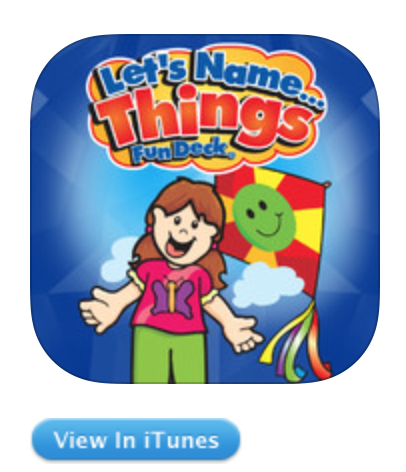 Just like the tittle says, this app targets naming skills. Designed for children and it contains 52 flashcards, built-in audio and the ability to track data. This is a great way to check if the other apps developed by this company would be good for you. Many of them are sold at very low rates and follow the same style. Despite the fact that this app has many buy-in apps, it is possible to play this game without spending a dime on it. It is no secret that I am a big fan of all things ” Sims”. This is one of the greatest language building real life simulator games. The possibilities for generating spontaneous language with this game are incredible. 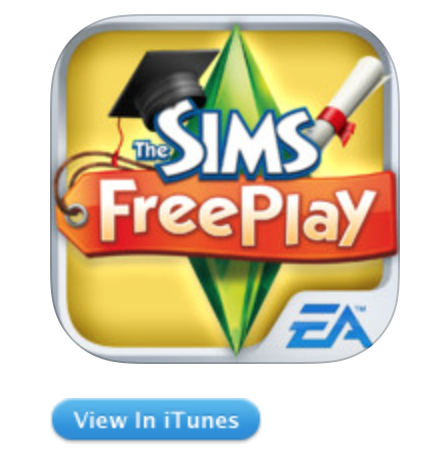 I have talked about this app in more detail on a previous post called Language & Vocabulary on Sims free play. Dropbox has become one of my favorite professional tools. It allows me to access and share documents between the iPad and the computer or between several people. I have used dropbox for over two years now and without spending anything I have been able to have a lot of data storage, just by sharing about it with the people I know. 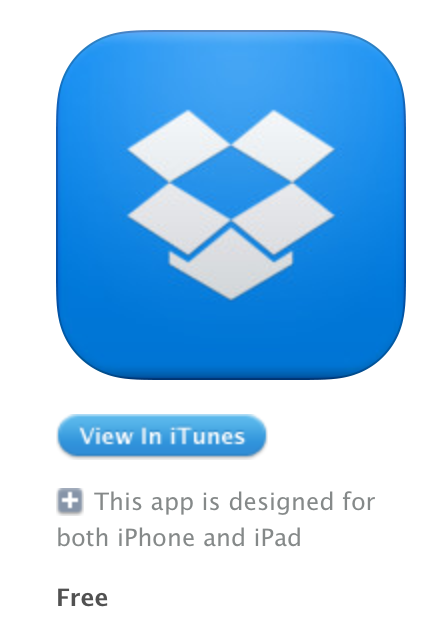 Many people prefer Google Docs as an alternative solution to file management, I am hands down a Dropbox fan. 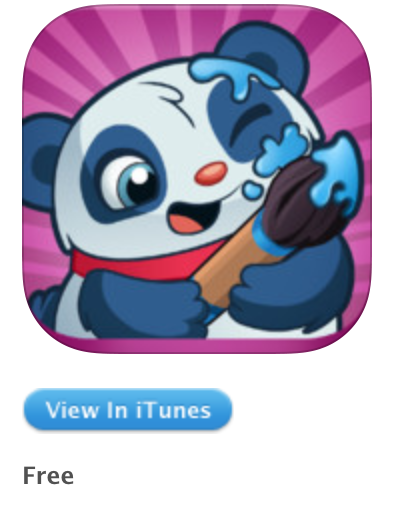 Yes, that’s me on the icon of this app. 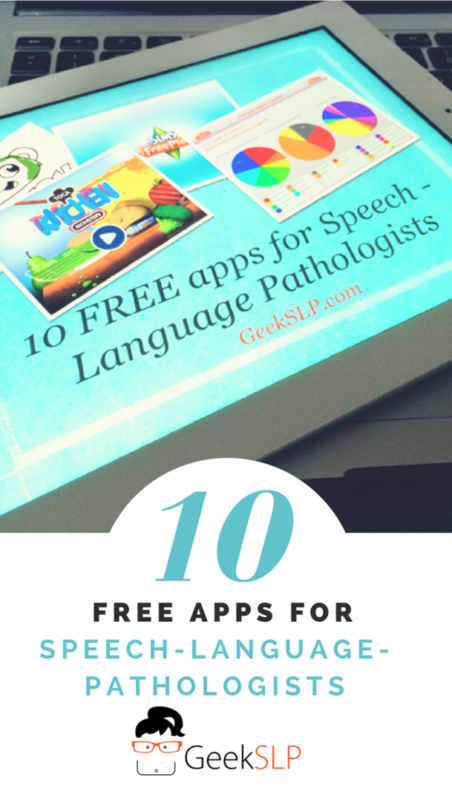 The GeekSLP app was released back in 2011, and it allows users an easier way to access my posts and the various documents I have created about technology over the last few years. Users must be connected to the Internet in order to access the information provided on the application. 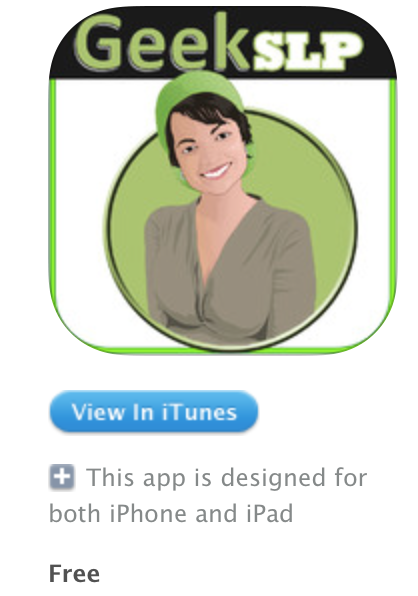 This application is compatible with the iPhone and the iPad. You can also use the app to send questions or make requests. Despite its name, iBooks not only allows you to read books, it also allows you to upload your PDF files and keep them organized in one place. It is possible to create collections of your PDF files. I have used it to create collections of reports, scientific articles I find online, and student progress reports. Many apps now allow you to generate the data collected and export to iBooks as a PDF file, and you can manage those PDF files on iBooks very easily. 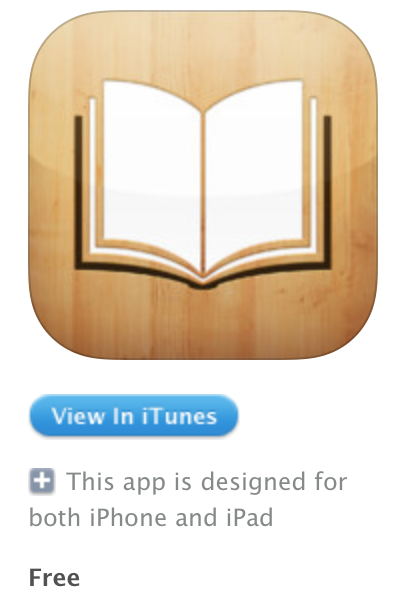 I love iBooks! The series Toca Boca apps are great for pretend play. 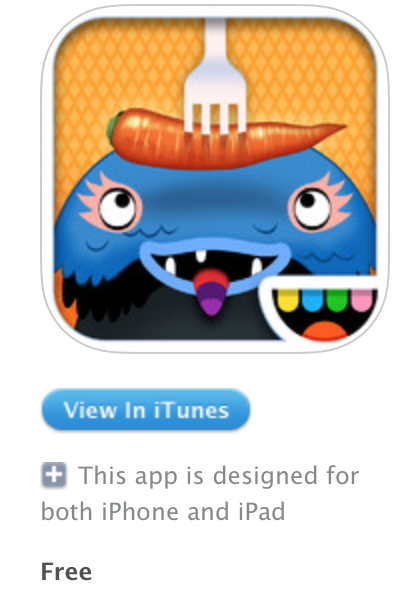 On the Toca Kitchen Monsters app, players get to feed one of the two monsters. It is possible to select the food, interact with it and then feed the monster. The graphics are very attractive which makes this app a great tool for pretend play and vocabulary building. A simple coloring application that can be used to either teach basic color vocabulary or following directions or as a reward activity after your session.